Regardless of the size of your business, creating repeat customers is one of the most essential things you can do. Along with building an excellent reputation, when you have repeat customers, you’re ensuring you have continued business and helping to decrease your need for marketing. While you should always be sure you have a marketing plan, having loyal customers means that you’ll be better able to take advantage of word-of-mouth marketing, which is the most powerful. 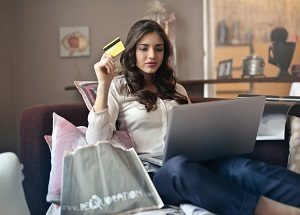 Your ability to keep customer loyalty is affected by some different aspects, but these three tips can help you significantly. One of the smartest ways to keep customers coming back is to create a system that rewards them. While the success of loyalty programs can waiver, if the program is good it will help you attract and retain customers. To make sure your program is well received always ensure that you have a reliable method of communication with your customers. Additionally, if you offer different levels of engagement for different customer sectors and incentivize bringing in new clients, you’ll have greater success. If you offer products or services that aren’t entirely intuitive, having a follow-up plan is essential. If a customer doesn’t fully understand how to use a product they may give up on it early or develop a negative opinion of it. Creating a follow-up system is essential for success. Not only will your customers be glad that you care to check in on them, but they’ll have the opportunity to interact with you and the product in a different way. When you share the stories of your customer’s success, not only will it remind them of your role, but it will inspire new customers as well. Showing that you care about, and are proud of your customer’s stories will make them feel seen and appreciated in a way that helps build the relationships necessary to develop a long-term partnership. In most cases, customers have plenty of options to choose from, make sure they want to come back to you. Whether you know already how your marketing materials should look or you want further advice, Time Printers is here to help. We service all of Baltimore, Hunt Valley, and Towson. Our team of professionals can tackle all of your questions. Give us a call at 410-566-3005 and be sure to follow us on Facebook, Twitter, Google+, Pinterest, and LinkedIn for tips and to see what we have been working on and what we can do for you. This entry was posted on Friday, November 9th, 2018 at 1:15 pm	and is filed under Marketing. You can follow any responses to this entry through the RSS 2.0 feed. Both comments and pings are currently closed.